Anthony R. Tersigni, CEO of Ascension, will retire at the end of this year after 15 years in the position. Ascension Michigan is based in Warren. 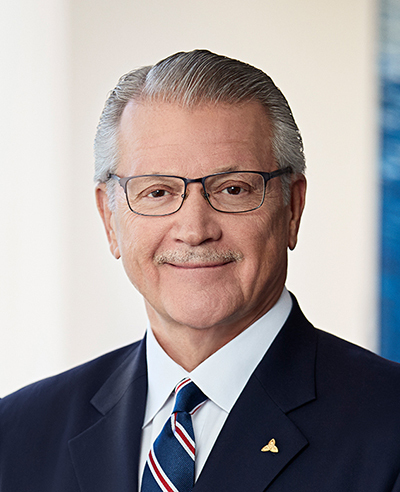 Tersigni will serve as a member of the executive committee of Ascension’s health-care investment fund and will provide consultative services to Ascension. The board has begun a formal process to evaluate and select a successor. When Ascension was formed in 2012 as the parent organization of Ascension Health and its other direct subsidiaries, Tersigni became its first president and CEO. Prior to that, he was president and CEO of Ascension Health in 2004 and had served as COO since 2001. He was also interim president and CEO of Ascension Health before becoming the permanent CEO. Tersigni oversaw the alignment of Ascension’s structures and reviewed and updated its strategic direction. Warren-based Ascension Michigan operates 15 hospitals and hundreds of related health-care facilities in Michigan. It is one of the leading nonprofit and Catholic health systems in the U.S., operating more than 2,600 sites of care, including 151 hospitals and more than 50 senior living facilities, in 21 states and Washington, D.C.